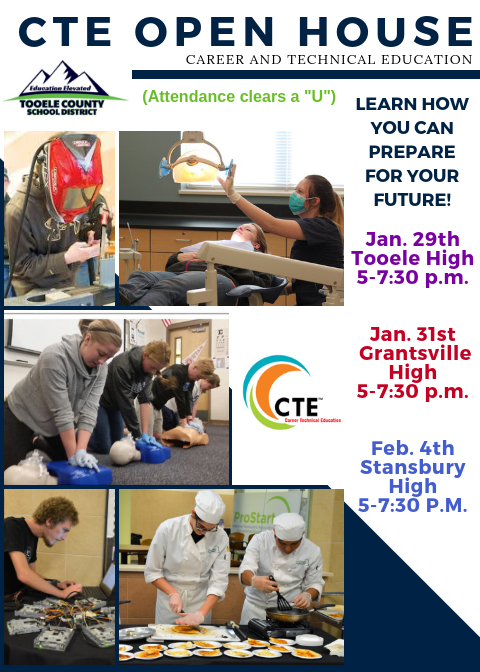 CTE Open House, 5 to 7:30 p.m.
Join us at the CTE Open House for Tooele, Grantsville, and Stansbury High Schools. Parents and students will be able to talk to teachers and classmates about the different classes and programs available in high school to help students prepare for their future. Junior high and high school students are encouraged to attend.